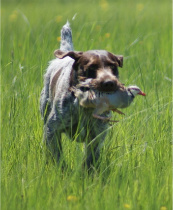 Need to hire someone as a full time trainer and upland guide. Is there a proper place to do this, or is this sort of thing not allowed? If not, would anyone have any ideas on how to reach out to prospective employees? Thanks, I was really just making sure that it was OK to post that sort of thing on the forum. progundog wrote: Thanks, I was really just making sure that it was OK to post that sort of thing on the forum. Might help to post a location too. American Field is a good place to advertise as well. "Developing enjoyable and obedient companions"
The American Field would reach out more to the target audience, you might also post through NSTRA's website.